What is the most powerful tool you have? Your mind, your most powerful resource. Are you using it, or is it using you? How do you learn to use your mind to get what you want? How do you harness your power? What does that mean and how do you do it? Most people have a vague idea of what meditation means, but that vague idea is just that – vague. Vague is the opposite of what one wants to achieve through meditation. Meditation is the practice of focusing your attention on a single object or idea, usually of a divine nature. Prayer has been called talking to God. Meditation has been called listening to God. How can you listen to God if your mind is full of chatter? That chatter takes up the space in which God can speak to you. That’s why meditation is so important. Meditation stills the chatter of the mind so that space is available for inspiration, creativity, bliss, and other God-like experiences. Focusing your attention is easier said than practiced. Ever notice that meditation is referred to as a “practice?” That’s because it requires practice. It’s a skill, and all skills require practice. Most meditation techniques suggest that you “get comfortable,” and focus your attention on your breath. When your mind wanders off (notice that the mind wandering off is assumed) simply put your attention on your breath again. I dare you to try it! You can use meditation to master the power of your mind. First of all, how do you “get comfortable?” That statement assumes that you already have the ability to be comfortable in your body and that you know how to access that comfort almost instantly. Secondly, the mind gets bored easily, and focusing just on your breath can become tiresome and boring after about 15 seconds. The mind doesn’t like tiresome and boring. The mind wants a job, but not a boring job. One of the meditations I teach (Instant Meditation, available at www.dianeross.com/audio.htm) addresses both of these pitfalls. First of all, I take your body through a modified progressive relaxation, so that you are comfortable and relaxed before the mind is addressed. Then you are directed to alternate your attention between your breath and your “third eye.” The third eye is the area in the center of your forehead, about an inch above your eyebrows. It has been called the portal into the spiritual realms, and requires your focused attention in order to be activated. By first achieving comfort, the mind is more easily harnessed. The attention is directed between the breath and the third eye, therefore eliminating the boredom most commonly associated with meditation. What happens when you begin “practicing?” The side effects are incredibly awesome and truly endless! First of all, you learn to be aware of your thoughts so that you can shift your attention away from the negative and toward the positive. Studies have shown that the brains of long-time meditators actually change. The frontal cortex grows! This is where all the good stuff is – your ability to reason, your ability to access peace, tranquility and bliss! This is also where your creativity is accessed. In addition, when you meditate, your heart rate decreases, your blood pressure lowers and your respirations lessen. Stress is released and the benefits of deep relaxation are multiplied. The ability to access happiness becomes natural and automatic! Want bliss? Begin to meditate and utilize your most important power – the power of your mind! 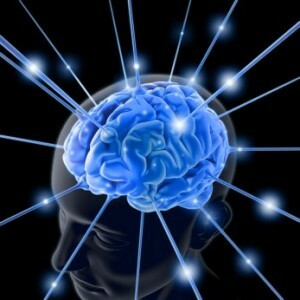 To harness the energy of your mind, check out my, “InstantMeditation,” CD at: www.dianeross.com/audio.htm. Bio: Diane Ross, author of Meditations for Miracles and more than 50 audio CDs, has studied meditation since 1970. She has a Master’s Degree in Secondary Reading, is a Certified Hypnotist and is a Master Practitioner of NLP. She is available for public speaking and sees clients privately. Meditation for Miracles is available in paperback and Kindle on Amazon.